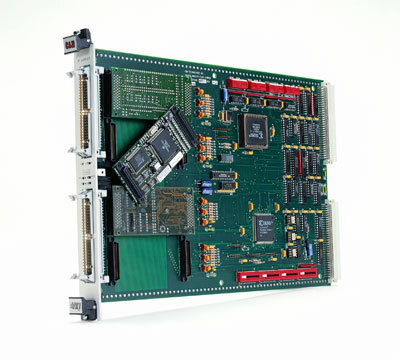 The VX403C allows multipul functions (A/D, D/A, Serial I/O, Relay Drivers, Digital I/O, Servo, Synchro, etc.) to be combined in a single slot. Each IP appears as a separate VXI Instrument. Ideal for VXI test system "glue logic" or custom interfaces. Register-based. Up to four (4), each appears as an independent VXI instrument.